Vietnam Wants to Go Hollywood - Integration Through Media ....! (VOA): Call it Vollywood? Vietnam’s movie scene is growing quickly, with an explosion of theaters across the country, more filmmakers entering the market, and more global attention from the 2017 blockbuster “Kong,” which was set and filmed here. Search for “Vietnam movies” online and most of the results are not films made by Vietnamese people, but Hollywood depictions of the Vietnam War, like Apocalypse Now, Full Metal Jacket, and Born on the Fourth of July. Many of the films are shot in the United States, and all of them are stories about Americans, with Vietnamese characters sprinkled around the backdrop. This has been a thorn in the side of locals who want Vietnam to have its own place in the world of cinema. That is starting to happen. Ngo Thanh Van, who came to international prominence with her role in Crouching Tiger, Hidden Dragon, has turned to directing. Her newest film, The Tailor, has been submitted as Vietnam’s official entry for next year’s Academy Awards, in the foreign language category. Increasing interest comes from both Vietnamese creators and Vietnamese customers. Domestic theater chain CGV reported a 30 percent jump in profits for 2017 compared to the year before. While it is just one company, it controls close to half the cinemas in the Southeast Asian country. Critics call it a monopoly, but that also means its growth is reflective of the industry’s growth at large. 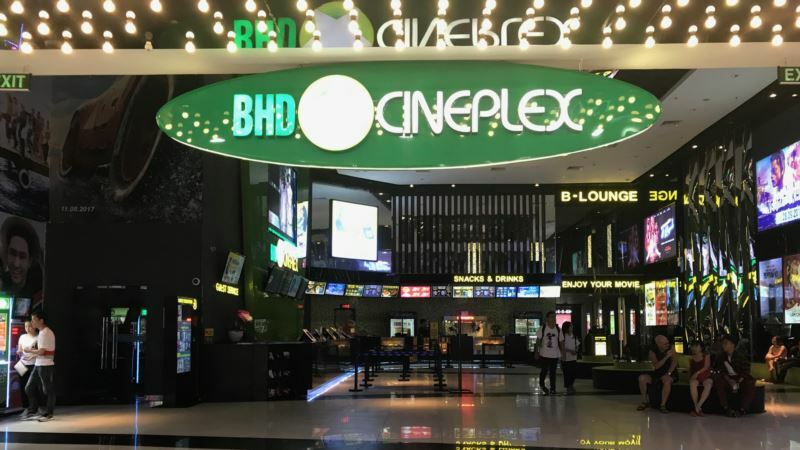 Besides CGV, owned by South Korea’s CJ Group, movies are screened by a crowded playing field that includes BHD, Galaxy, Skyline, Cinestar, Cinebox, Lotte and others. The theaters are feeding consumer demand in an economy that expands nearly 7 percent every year. That has also brought the likes of Netflix and rival streaming service iflix to serve Vietnamese viewers. The growth of Vietnamese cinema coincides with more visibility of the Vietnamese diaspora in films abroad. The Netflix hit To All the Boys I’ve Loved Before stars a Vietnamese-American born in the Mekong Delta town of Can Tho. In Downsizing, Matt Damon plays opposite Hong Chau, who deploys a thick Vietnamese accent but earned a Golden Globe nomination. And some of that diaspora is coming home. Vietnam has seen American actors, directors, producers and film editors return or resettle here in recent years, most famously the brothers Johnny Tri and Charlie Nguyen. Filmmakers from France, a former colonizer of Vietnam, have also relocated, such as a pair of French-Vietnamese who set up an animation studio in Ho Chi Minh City. She added that Vietnam has plenty of scenic locales that would be a cameraman’s dream. Kong: Skull Island is a good example. The latest installment of the brobdingnagian gorilla franchise was filmed around Vietnam, including shots of the limestone cliffs and malachite green waters of Halong Bay, a UNESCO World Heritage site. The film is also a telling symbol of a Vietnamese shift. Although it is set in the Vietnam War, Kong was not received as a war drama, but celebrated for everything else: The gripping ape-fueled action, the performances of Samuel L. Jackson and Brie Larson, and the majestic scenery. Vietnam is happy to provide that, rather than just another battlefield backdrop. Vietnamese-language films have gone global here and there, from Cyclo to The White Silk Dress. Locals hope those are just the start of a thriving industry. India has Bollywood. Nigeria has Nollywood. It might soon be time for Vollywood.